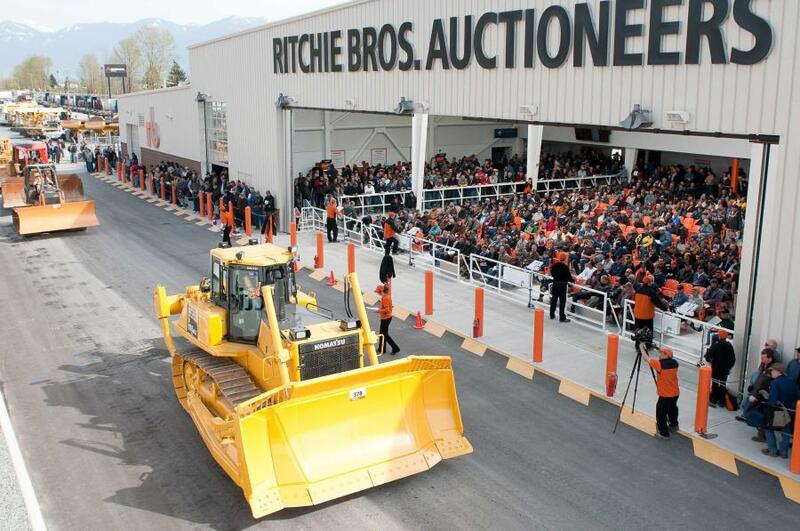 Ritchie Bros. Auctioneers Incorporated reports results for the three months and year ended December 31, 2015. During the fourth quarter, Ritchie Bros. generated $135.5 million of revenues, a 2% decrease compared to revenues of $138.5 million in the fourth quarter last year, and net income attributable to stockholders for the fourth quarter of $46.5 million, a 48% increase compared to $31.4 million in the same period last year. Diluted earnings per share ("EPS") attributable to stockholders were $0.43, a 48% increase compared to $0.29 in the same quarter last year. Included in this quarter's results were $7.9 million of tax savings generated by tax loss utilization and $8.4 million ($7.3 million after-tax) of revenue related to the sale of property adjacent to Ritchie Bros.' Edmonton auction site. On an adjusted basis, removing the impact of these items, the Company generated Adjusted Net Income attributable to stockholders of $31.4 million during the fourth quarter, a 12% decrease compared to $35.6 million in the fourth quarter of 2014, and Diluted Adjusted EPS attributable to stockholders of $0.29, a 12% decrease from $0.33 in the same period of last year. In the year ended December 31, 2015, the Company generated $515.9 million of revenues, and net income attributable to stockholders of $136.2 million, or $1.27 per diluted share, a 50% increase from net income attributable to stockholders of $91.0 million, or $0.85 per diluted share, in 2014. Adjusted Net Income attributable to stockholders in 2015 was $121.1 million, or $1.13 per diluted share, a 21% increase from Adjusted Net Income attributable to stockholders of $100.3 million, or $0.93 per diluted share, in 2014. "I'm proud of the strong results achieved by the Ritchie Bros. team in 2015, with revenues up 7%, 16% organic; adjusted operating income up 20%, 28% organic; and diluted adjusted EPS up 22% versus prior year. We also achieved an adjusted EBITDA margin of 40.4%, up 244 basis points, and return on net assets of 23.8%, up 910 basis points versus 2014. Our operating free cash flow of $182.2 million increased 28% compared to last year, once again demonstrating that Ritchie Bros. is a powerful cash generating engine," said Ravi Saligram, Chief Executive Officer, Ritchie Bros. "We're beginning to make solid progress executing our strategic plan: in the US we grew revenues 15% versus prior year – a key geographic focus, and in Canada we continued to grow rapidly, with 23% revenue growth in local currency. Our multichannel initiatives also gained traction, as EquipmentOne generated 15% revenue growth versus last year and achieved positive EBITDA during 2015. Our world class online reach to our global customer base allowed us to drive a record $1.9 billion of online sales during 2015, demonstrating our strong digital prowess. In addition, we launched Ritchie Bros. Private Treaty, and recently announced the acquisition of Mascus – a global online listing service. Similarly, our services strategy gained excellent momentum with Ritchie Bros. Financial Services registering significant growth and our recent acquisition of Xcira providing additional fee-based revenue streams. We have a strong executive team in place and passionate employees who are committed to winning, which makes me confident we will continue to capitalize on opportunities in the marketplace in 2016."